Spring is one of the best times of the year and perfect for outdoor play! 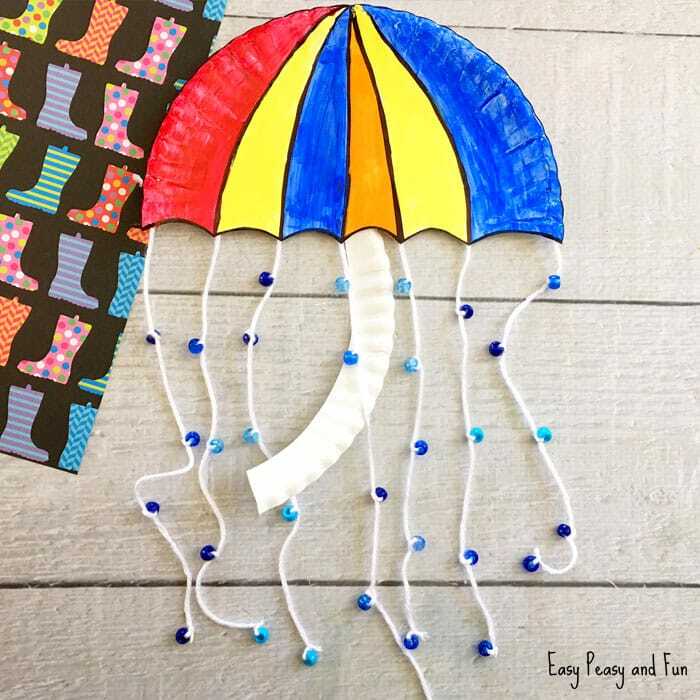 But there are days when you are stuck at home and days when it’s time to get crafty in the classroom when you just need some wonderful DIY ideas. We love spring! It’s when the temperatures rise, weather becomes interesting and colorful, flowers bloom and people become livelier. 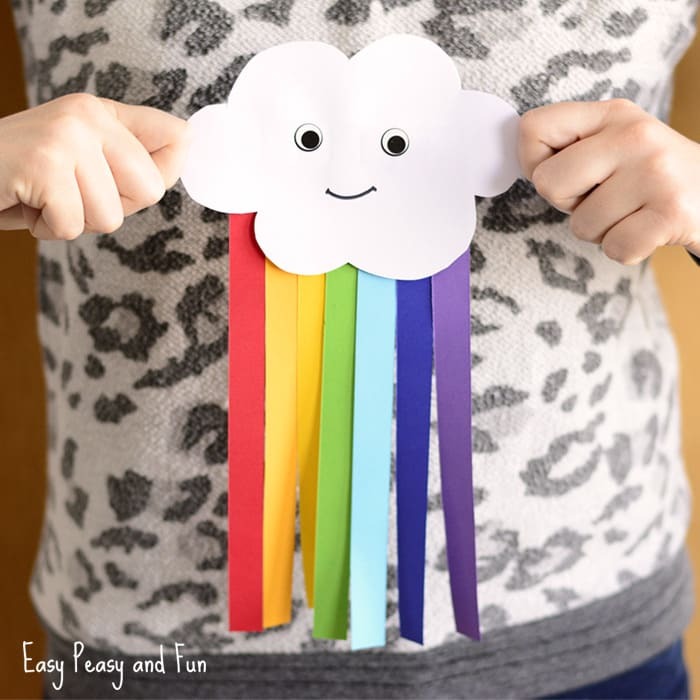 It’s the perfect time of the year to work on some of the more interesting study units – frogs, bugs, weather (rainbows especially), flowers and more! 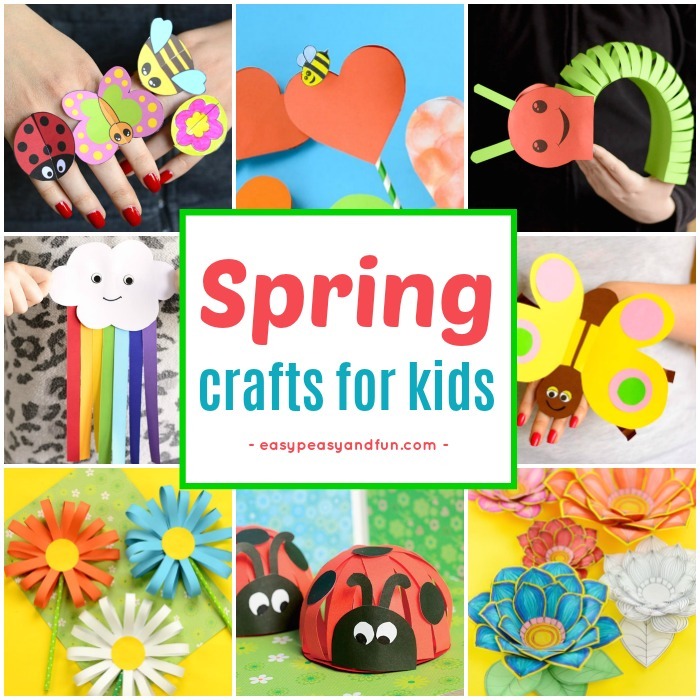 In this collection of spring crafting project ideas you will find a whole variety of projects for all ages, super simple projects toddlers and preschoolers can manage, ideas that go well with kindergarten themes and crafts that school grade children will really enjoy. 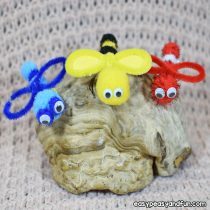 One of our favorite and kids favorite projects for spring time are these printable bug rings for sure. Simple boredom buster perfect for a rainy day. 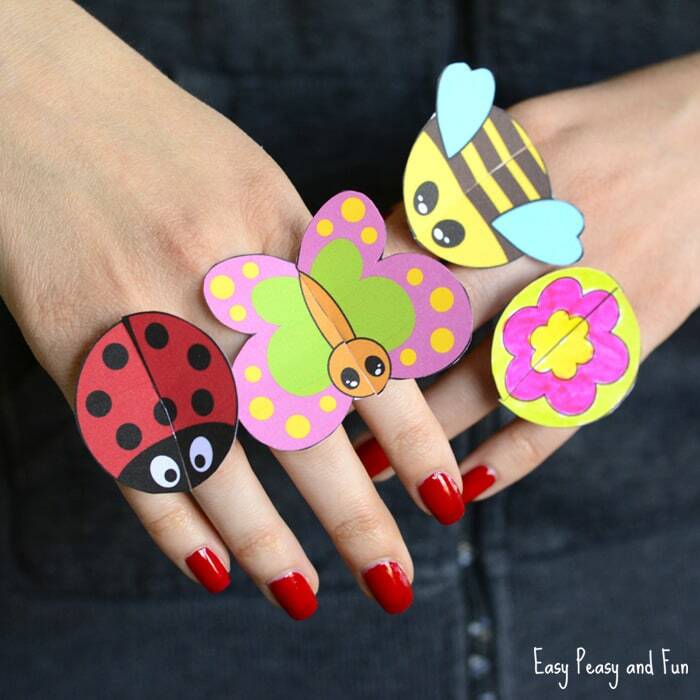 Get the bug rings template. Simple flowers are the best, and these paper strip flowers are just that and oh are they gorgeous! 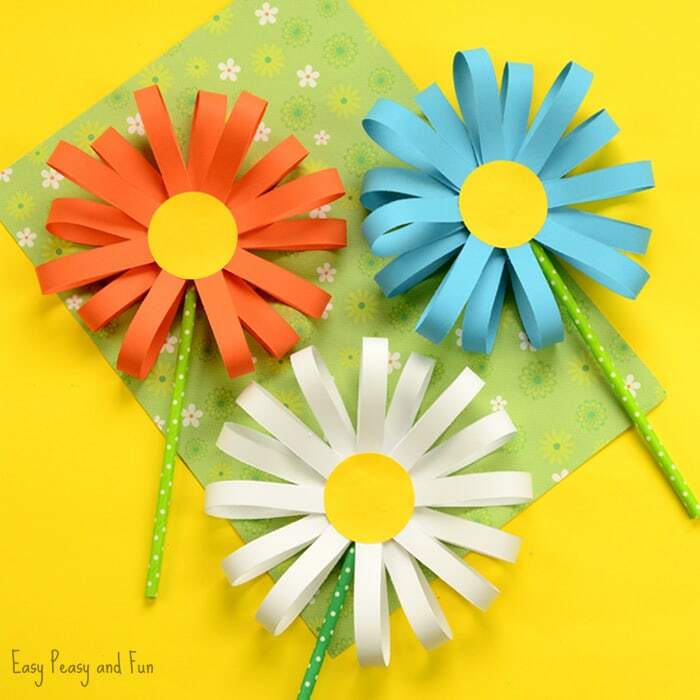 See how to make these paper flowers here. Spring time is great to talk about caterpillars (and butterfly life cycle – we’ll get to it in no time). This one goes great with some of kids favorite books. 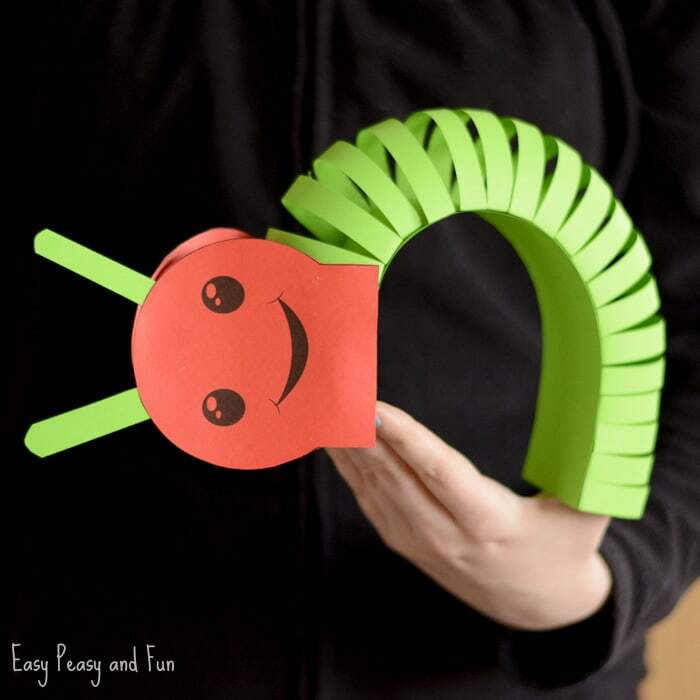 Grab the template and make your 3D caterpillar. 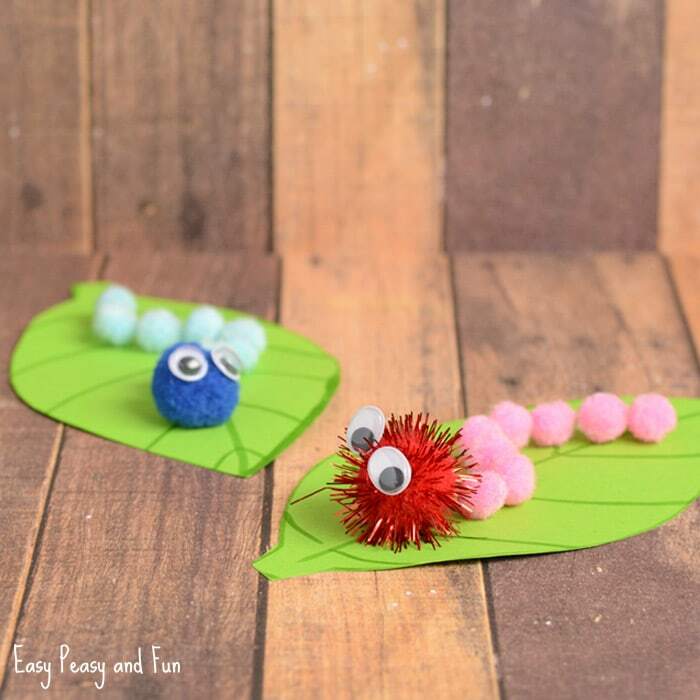 Caterpillars that are cute as a button. 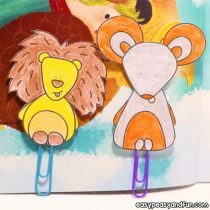 These have been a hit as kids love to make them and take them with them as their imaginary pets. Fun and easy. 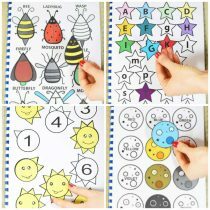 We do love to add a bit of fun to learning and that can certainly be said for this butterfly life cycle paper toy. 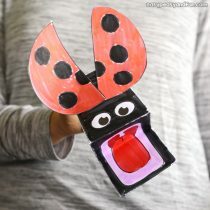 Such a fun craftivity for kids. 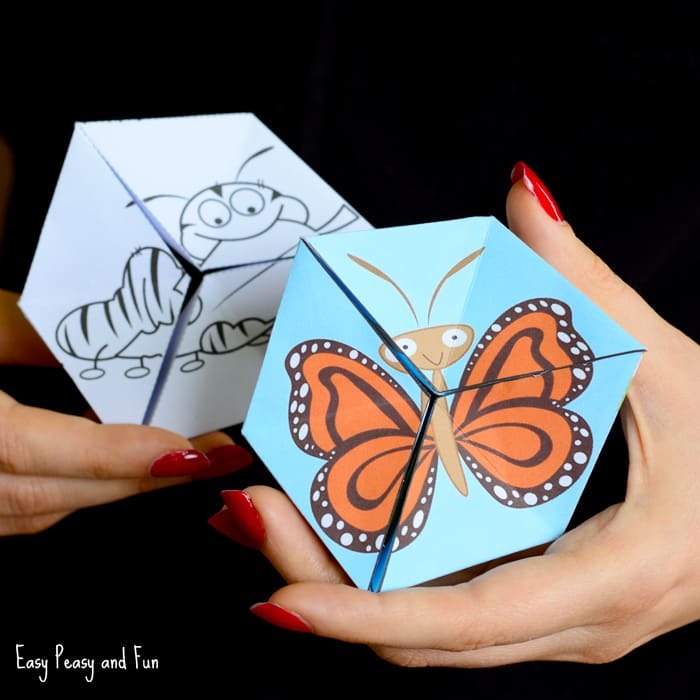 Make your own butterfly life cycle paper toy. 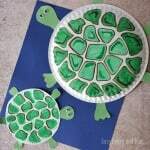 Can we really have a list of spring craft ideas for kids without toilet paper roll ones (you can naturally use paper kitchen towel rolls). 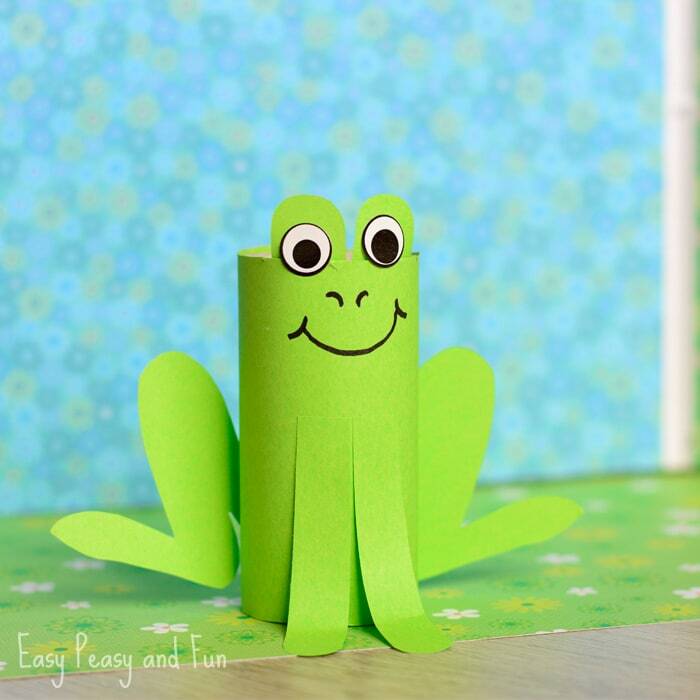 Frogs are a great spring project and this one certainly is fun to make. 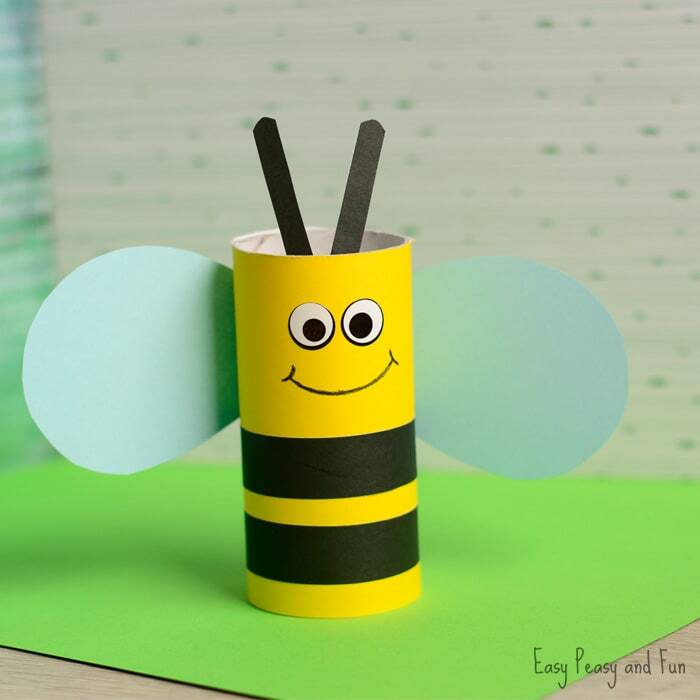 Bees are a great theme for spring too and paper rolls are perfect to make them. 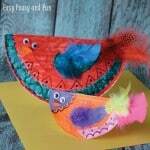 Paper Plate Crafts are a Must too! 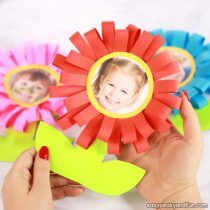 Spring and rain go hand in hand so why not make this adorable paper plate spring craft. 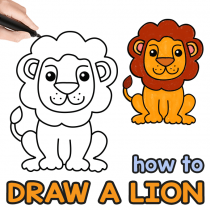 Great fine motor skills for the little ones. Weather unit won’t be complete without a rainbow. We love them. 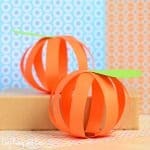 We also love using colorful construction paper to make things and we like to see them pop. 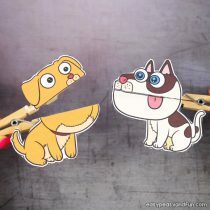 Cute and simple and especially popular with preschoolers and kids in kindergarten. 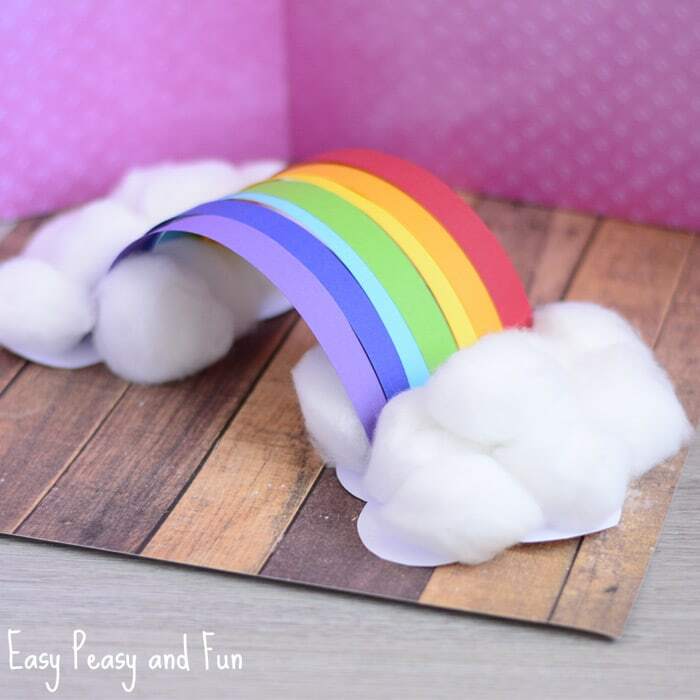 See how this rainbow was made. 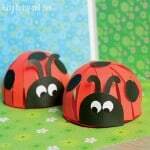 Another fun spring craft idea are these adorable ladybugs. Fun looking and simple to make. 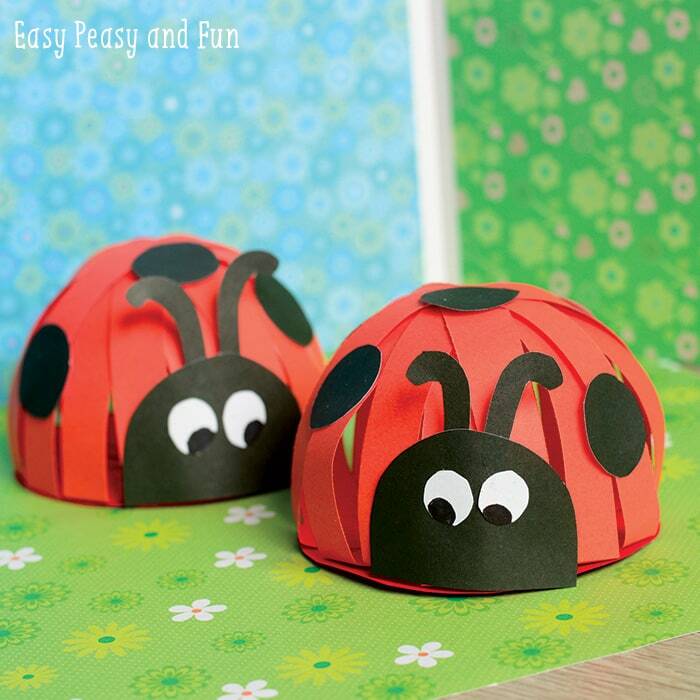 See how these construction paper ladybugs are made. 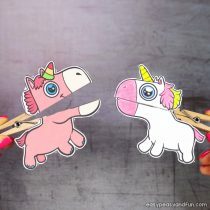 I love your idea! 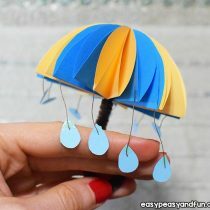 Wonderful and lovely craft! The pupils will love them.